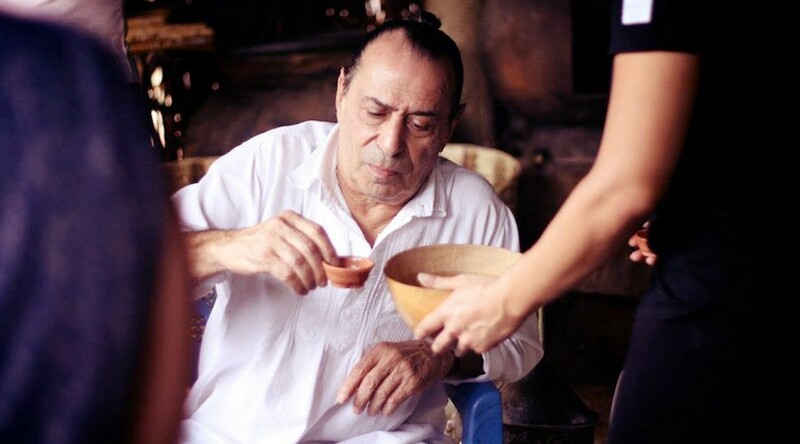 Can the ‘Godfather of Mezcal’ Keep the Drink from Going Corporate? On a sweltering summer afternoon last July in Los Angeles, Ron Cooper, founder of Del Maguey Single Village Mezcal, addressed an audience of several dozen bar professionals and restaurateurs on the piñata-festooned balcony of Las Perlas, an upscale bar in the city’s rapidly gentrifying downtown. Trays of small clay cups circulated throughout the room, each “copita” filled with two or three sips of earth-roasted, fermented and distilled agave cactus: some smooth, some earthy, some herbaceous, all of them smoky. “Honor” is a recurrent theme in Cooper’s discussions of mezcal, along with other conspicuously un-capitalistic terms like “art,” “respect,” and “tradition.” In the 1960s, he was among a group of artists who founded the California Light and Space movement; his sculptures have been shown in the Whitney, the Guggenheim and the Los Angeles County Museum of Art. Twenty years ago — after decades of excursions to Central America and Mexico, including a three-month stay in Oaxaca for an art project that involved filling hand-blown glass bottles with mezcal from the indigenous Zapotec producers known as “palenqueros”—he founded Del Maguey. Constituting less than one percent of the total consumption of agave-based spirits worldwide, mezcal is still a connoisseur’s market, but a rapidly growing one. Exports out of Mexico increased by nearly 79% between 2011 and 2014. But still, the two-million-liter annual production of mezcal is dwarfed by the 250 million liters of annual tequila production (tequila being similar to mezcal, though made by a slightly different process; it’s smoother in taste, and is made exclusively from blue agave from the state of Jalisco). The story is a familiar one: a traditional handicraft (or an indie band or an obscure restaurant) is “discovered;” a community of connoisseurs emerges; a mass market develops; finally the corporations roll in and destroy everything that made the original object special in the first place. But artisanal mezcal will persist so long as Ron Cooper is at the helm of Del Maguey, which he has refused to sell to bigger competitors despite multiple offers. 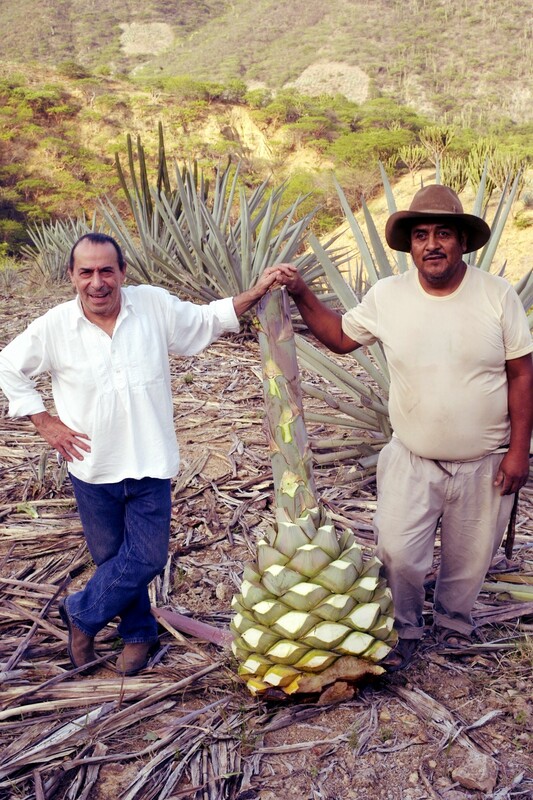 Tradition and sustainability are more important to Cooper than a big payout, and he sees Del Maguey as different from the more exploitative companies attempting to invade and colonize the mezcal market. A reluctant albeit successful businessman, he’s living proof that high quality traditional craftsmanship can be preserved, at least for a time, by those willing to fight for it. Back when Del Maguey was founded, the few Americans who had ever heard of mezcal knew it as a raw, hangover-inducing variant of tequila with a worm, (falsely) rumored to have psychedelic properties, marinating at the bottom of the bottle. That was the version Cooper himself first tasted — and, the next morning, suffered dearly from — as an art student partying in Baja in the ’60s. But that brutal drink has little to do with the agave spirit that the Zapotec palenqueros of Oaxaca have made by hand for centuries, and that can now be found on the top shelves of American bars like Las Perlas. Some of the wormy stuff is simply fake: after the opening of the Pan American Highway in the 1950s, Cooper says, Guatemalan distilleries began exporting a cheap cane “aguardiente”—“firewater,” a generic name which is basically Spanish for “hooch”. The distilleries added water, food coloring, plus a worm (or more accurately, a weevil larva), slapped a “mezcal” label on the bottle, and tainted the real spirit’s name for two generations of American drinkers. In Mexico, before Cooper founded Del Maguey, mezcal’s reputation was even worse than it was in the States. Looking down their noses at “los indios,” Mexican urbanites regarded the real mezcal as a kind of Indian hillbilly moonshine. Now in his 70s, Cooper grew up in Los Angeles and attended the California Institute of the Arts, then known as the Chouinard Art Institute. In his twenties and thirties he lived for a time in Venice and in downtown LA. “When it started to get popularized, I went, ‘I’m out of here,’” he says. He relocated to Taos, New Mexico, three and a half decades ago. “It was like, really wild, and really primitive and really beautiful and different,” he recalls wistfully. After his lecture at Las Perlas, Cooper drove out to the Mojave Desert, to a dry lake bed where adrenaline junkies have been racing souped-up sports cars since the 1920s. In whatever spare time he can muster between his business and his art, Cooper tends to his collection of 1920s- and 1930s-era hot rods; since he was a teenager, he has been preserving these beautiful, meticulously built objects from an age when more care was taken with the details that make a thing timeless. He has owned, at various times, a Mercury Cyclone, old Citroens and Peugeots and a ’49 Ford with an Oldsmobile engine. It’s another means of keeping the past from fading away. Judah Emanuel Kuper, a surfer from Colorado who co-founded Vago, is more sanguine about the attention the big corporate players are paying the craft of mezcal. “It really shows that mezcal is here to stay,” he says. 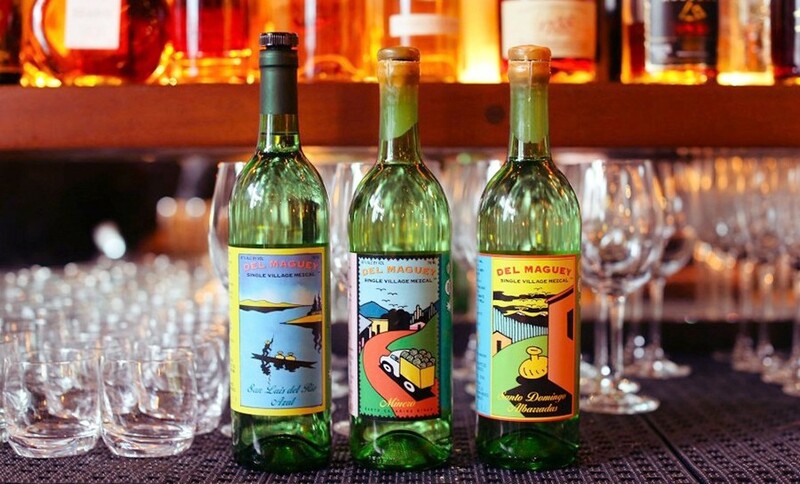 He feels that his own company owes a huge debt to Del Maguey for opening up the market, but he also sees the corporate investments in the industry as a sign of stability rather than a threat. Artisanal mezcal will continue to thrive alongside the industrial production, according to Kuper, who is more concerned about the effect of “agave hustlers” — who scour the forests for wild agave to sell at a premium — on the production costs born by small palenqueros. “Those guys know they need agave,” Kuper says of the corporate distilleries, “and they’re going to start planting agave. And to me that’s not really the worst thing in the world,” since it will increase the total supply. Leighton Akio Woodhouse is an independent video producer and journalist. His work has appeared in The New Republic, Gawker, The Nation, VICE News and other publications.